Even in a weak market, areas undergoing infrastructure investment will likely still see steady growth – both in yield and in capital appreciation. Look at areas being transformed along both the Night Tube and Crossrail line to identify long-term investment prospects. For example – Forest Gate, Farringdon and Whitechapel are areas geared up for regeneration and a rise in property prices thanks to Crossrail. The high street is a great indictor of the demographic of an area, and whether the area is in decline or has growth potential. Some of the factors you should consider include – have there been many changes recently? Are shops closing down with no sign of opening or are they closing with new names moving in? Is money being spent by the council to smarten it up? 3) Are there good schools in the area? Another great barometer to judge prospects of an area is the schools in the vicinity. You may not be thinking of starting a family yet and if you’re an investor schools probably aren’t on your list, but London’s population is growing fast and good schools are becoming harder and harder to come by. Therefore, having one in your area is a big bonus. People both rent and buy in these catchments to get their children into a good school, getting you a good return on your investment. If buying a property to live in, remember it’s a home first and foremost – and an investment second. If you plan to live in it long-term then you should be shielded from bumps in the market. As the market in London has shown time and time again, it’s super resilient, so what may happen in the next two years could be insignificant to you if you are still there for 10. To make a sound investment decision, you need a broker who has access to the entire market. Some brokers operate on a panel and hence may say they are getting you the best deal – but remember that is only the best deal from their panel. With lending criteria changing daily, it’s advisable to shop around. That rings true even for investors who have used the same lender or broker for years! This may sound obvious but cheap solicitors will inevitably cost you more. This is probably one of the single biggest purchases of your life so paying for the right advice is crucial. With a market that’s changing daily, avoiding delays with the right legal aid could be the difference between concluding the transaction or not. In a tough market it’s more important than ever to choose a local agent who knows their area inside out, and who will get you the best result both as a buyer or seller. An agent who just instructs and advertises your property and waits for the calls will struggle in tougher markets. A proactive agent who knows their buyers can match the right person to your home, and uses past experience to price your house right. 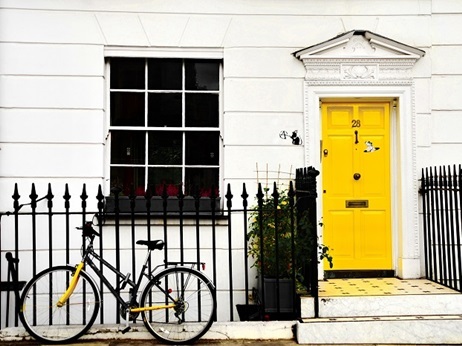 With a ‘no-sale, no-fee’ policy, high street agents now have as much a vested interest in the transaction as both the seller and buyer. Find out how much your property is currently worth with Portico’s Instant Valuation tool. Most investors would take a two-year fix on mortgages but with the lending criteria getting tighter for investors, some of the better deals in terms of loan to value can be found at a five-year fix. No one knows what will happen to the property market in the next two years, so plan for what will happen if circumstances go out of your control. For example – if you plan to exit or re-mortgage at that stage you also need to plan for what it will mean if you can’t do either of those. From basic redecoration to new kitchens and even structural work such as loft extensions, adding value to your property will make your home a better investment. If you see your family growing or want a capital growth not market-dependant then you need to look at innovative ways to add value to your property. We all want a sprawling staircase in the house and a swimming pool in the backyard, but you need to be realistic with your actual needs. The big ‘C’ (compromise!) is a word most try and avoid but is something we all need to make. The sooner you are able to accept you will need to make a compromise and understand what those compromises are the easier your search will be.